This is a well maintained four bedroom cottage, (an additional stone cottage houses the 5th bedroom, but has no bathroom) with a barn(with 'game room' on second, unfinished, floor with ping pong, foos ball, weights) and dock(holds four boats) at the foot of Grenadier Island(no bridge! ), which is at the mouth of the St. Lawrence Seaway and is a part of the Thousand Islands. All the rooms offer a spectacular view of Lake Ontario and/or Basin Harbor. The house sits on approximately 700 acres of private preserve, on a 1200 acre island great for exclusive nature adventures. You are renting much more than just a house! The house itself is on seven acres of lawn, with stone fire pit by shore. Please note that new for 2019 will be AC throughout house with ductless ultra quiet units. We have also purchased a commercial insect fogger to eliminate (or close to it!) any mosquitoes or other insects around house. Spraying done regularly, when guests not present. The house has the charm of an old stone house with the comforts and conveniences of a new home. There is a large master bedroom with a private balcony and ensuite tossed marble bathroom, a bedroom with a queen bed and another with a pair of twin beds and lounge area(including pull out sofa), as well as a 4 bed bunk room with a loft. The separate stone cottage contains a full size bed. The two other bathrooms(all bathrooms have at least a shower) are relatively new, and tiled in marble as well. The full kitchen has almost every convenience; including a kitchen aide, ice cream maker, warming drawer, and waffle iron. Grenadier Island is nicknamed 'The Paradise of Kings'(but should be Queens as well). On the island you can hike, swim (use of a private beach at the head of the island as well as, flat stone beach by the house), boat, bird watch, mountain bike, fish, water ski, tube, and more! (provided with rental are: canoe, 2 kayaks, and a paddle board .There is even a restored 19th century one story school house on property with original desks. Click video button in 'Video' section above to see activities on Island and beach(put together on GoPro by my son as part of his weekend in September (weather can still be very nice in September). Please note that the cliff jumping was not on the Island but part of a boat tour into the Thousand Islands nearby. All other pictures are on the island or beach on west side. In September/October, there is still plenty to do, from apple picking(numerous apple trees on property, hiking, bon fires by newly renovated fire pit, or just reading by the two fireplaces. USE OF BOAT REQUIRED to get to and from the island(5 to ten minute boat ride). Boat rental possible with owner. Caretaker will meet you at marina when you first arrive and follow you out in your boat and show you around. Alternatively, if you don't want stress of renting and operating a boat, or don't plan on much boating, arrangements can be made for caretaker to transport guests back and forth. Options: 2 ATVs($775/wk plus security deposit), 4 seater Polaris, with 4 person trailer($775/wk plus security deposit)(discount if combined) and boat rental($950/wk plus security deposit) also possible. Foregoing will be pro rated if less than a week. My family is originally from the area, and the Island has been in the family for over seventy years . My four kids still love the island; so much that they have cross country skied across the lake to get out there in the dead of winter. There is so much that you can do out there, you will never have enough time to fit it all in... I am still trying. Private dock for three boats(holds four but sailboat may be there). Canoe, two kayaks, paddle board included in rental. Various sports equipment, foot wear, jackets available for guest use. What an amazing place! My family of 7 adults and 2 kids had a blast. The house is super comfortable and very spacious. There's plenty of space for everyone to hang-out. The views from the house and all around the island are breathtaking - from the sunrise to the spectacular sunsets..... ship watching, wildlife and the acres and acres of wilderness.... this place is a photographer's dream. We rented the UTV to explore the island (highly recommend this if you have more than 4 people) and made several trips to the white sand beach on the back of the island. This place looks like the Caribbean and is basically like having your own private beach. There is so much to do on the island; swimming, hiking, bird-watching, hanging out on the beach, fishing or just spending time on the huge porches enjoying the sunsets. John (the owner) and George the caretaker were great to deal with and very helpful in making sure all of our needs were met. 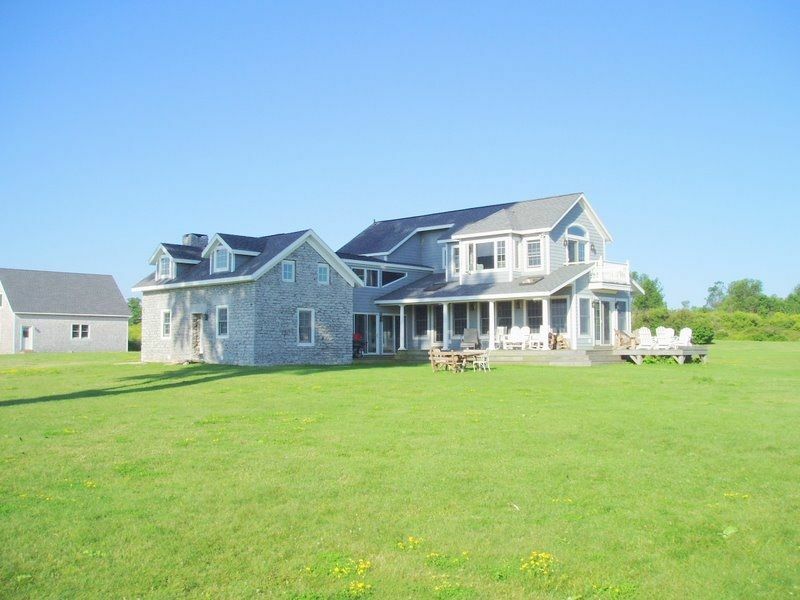 We will definitely be renting here again.... true Paradise in Cape Vincent! I stayed at Grenadier Island with my family as well as my brother's family. In total, 4 kids, 4 adults and 2 dogs. We had a blast! The views were spectacular, the atmosphere was truly breathtaking. The house was very nice, plenty of bed space and room to operate, and service upon arrival was excellent. We rented the boat as well as a couple ATV's which were a big hit as we explored the Island on a daily/nightly basis and the kids loved it. The fire pit was fun, the beach was nice and found the entire week very relaxing as a family. If you are into Boating, Fishing, ATV's, Sunsets, Sunrises, etc you will LOVE this spot! We will definitely be back! Thanks to John (owner) for everything. They made us feel very comfortable through the entire process and everything was perfect, just as the ad stated. The house was very clean and everything worked perfectly. The island was amazing for exploring and/or hunting and the house location is perfectly situated! We saw sunrises and sunsets from both the patio and living room! You can't ask for a better location! Wish I could post pics because they were amazing. I'll send them to John so he can post in the ad if he chooses because it was breathtaking. We didn't see a single person as we explored the island, so if you love solitude, this place is perfect for you. We took full advantage of the amenities that the house and property had to offer and it made our vacation even better than we expected. I highly recommend this property and owner, and I doubt you'll find better service, cleanliness, accommodations and especially location! I can't even begin to describe how much we enjoyed your house and the island. It was perfect for us in so many ways. The boat and ATVs were such a huge hit and enabled us to enjoy the island on many different levels. My sister's children, ages 4 and 6, were free to enjoy the surroundings without the fear of cars or other hazards. My boys, ages 11 to 23, had an absolute blast. Not once did we hear the typical, "we're bored" routine from any of the kids! The adults truly appreciated the opportunity to unplug. It is such a special place, I think we all agreed we'd like to return same time next year. Again, just an incredible place. Thanks for making it available to us, as well as your attention to detail. It has been clear to me that you want your guests to enjoy their stay on the island. We typically rent vacation homes twice a year and I must say that this experience, both the rental itself and your ability to make your home feel so welcoming to guests, exceeded all of our collective expectations and experiences. By the way, I loved reading the newspaper article in the downstairs bathroom about your 6 hour event on the ice, as well as your son's detail of the fall journey to the island in 8ft swells! Sounds like a lot of memories have been made on Grenadier. Thanks for everything. In short, it way exceeded our expectations. Well worth it. One of the best family trips we have every had.